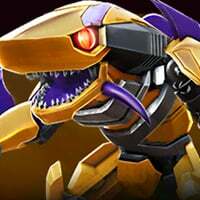 There are many bots in this game and with them SP3's with Special Animations. My favorite has to be Waspinator's SP3. It's just straight up funny how he basically grabs a nuke out of nowhere and blows everyone up! This is why universe loves Waspinator. Oh yeah, it makes the offscreen shot seem more satisfying than it should be. Also love the hand gesture at the end. G1 Megatron's is one of my favourites. I also really like Jetfire's. 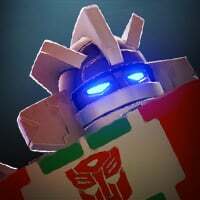 No love for Galvatron's Starscream-crumbling SP3? Right outta the 86 movie! Not such bad comedy, after all! Barely use him, but cool nonethless. and Blaster's nike freeze, dust off the shoulders and music riff at the end is pretty sweet. LOL. That is definitely a look of satisfaction. It's even better when you learn that the voice actor of Cheetor voiced Goku. It was referencing that. Jetfire's (despite being rather underwhelming) is still outright cool. I've always had some ideas as to what Unicron''s Special Attacks would would like. Unicron builds Dark Energy and proceeds to unleash 3 devastating shockwaves, knocking the Opponent back. Unicron immediately causes a wave of Dark Energon crystals to sprout out of the ground, which explodes once made contact with the Opponent. Unicron summons the power of the undead as hands rise from the ground and grab the Opponent's feet, holding them still. 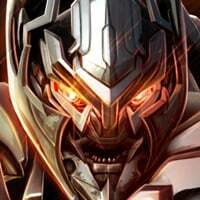 Unicron proceeds to create 2 Dark Energon hammers and bashes at the Opponent multiple times. The hammers convert into canons (which float over Unicron's shoulders) and Uncron and his canons fire a massive quadruple Dark Energon streamed blast. Unicron causes one massive Dark Energon crystal to sprout from the ground, piercing the Opponent's chest. The Opponent dies, but becomes a zombie, still trapped with the crystal pierced through them. With a simple gesture from Unicron, the Crystal explodes, engulfing the zombified bot in Dark Energon flames. The flames instantly warp into a vortex and transports the Opponent to another reality, in space. 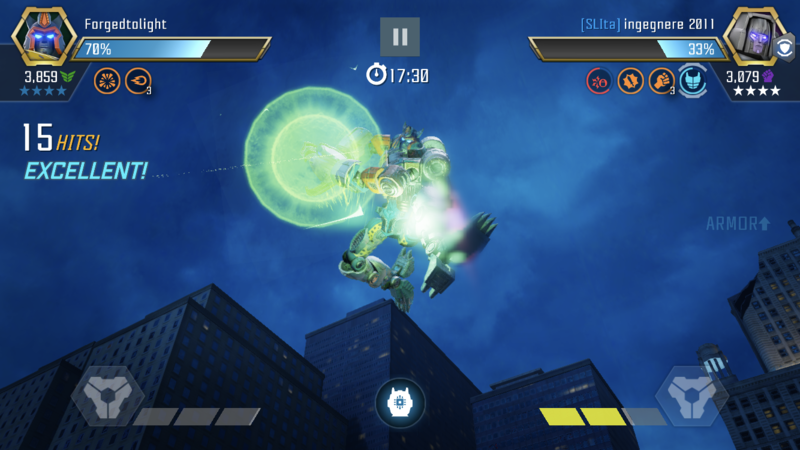 Floating among the Opponent is a fully sized Unicron in planet mode. Unicron opens his maw, releasing a massive blast that annihilates the Opponent. @ScarredArachnid333 lovely idea, but pop! goes the processor/GPU! 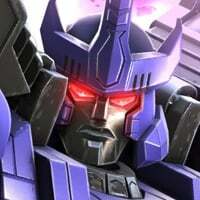 True, a mobile game can't withstand the destruction that Unicron would cause. Anyone know where I can find a video of all the sp3 moves? Only one I've found is from 2 years ago. I think Jetfire, Bludgeon and Sideswipe. Go to the TFTF official youtube page. I love windblades special 3 animation, next would probably be drift, then blaster. Absolutely love Windblade's SP3, with her slashing the sword through the ground creating fire and that superhero landing at the end. Just wish the SP3 did something because it has no abilities. 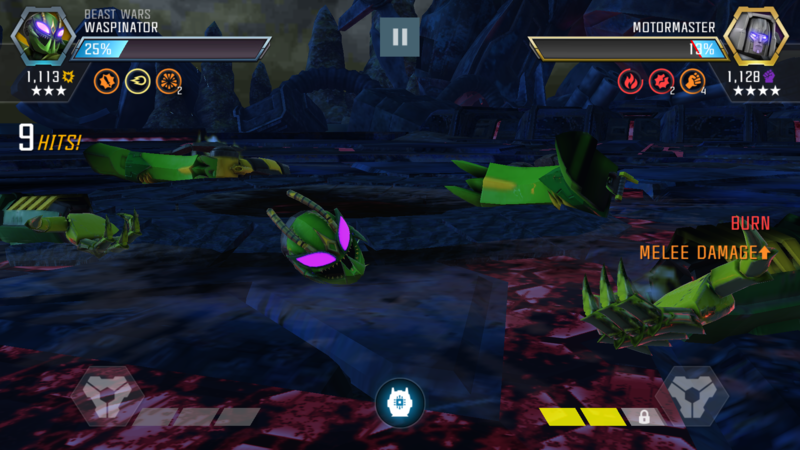 Speaking of SP3s, Cyclonus’ has a bug. Normally, if you K.O. a bot with a SP3, the slow-mo and the K.O. would only trigger after the last hit of that SP3, and there wouldn’t even be a slow-mo. However, with Cyclonus, the K.O. sign and the slow-mo triggers WHENEVER the bot is knocked out, even if it’s in the middle of a SP3.